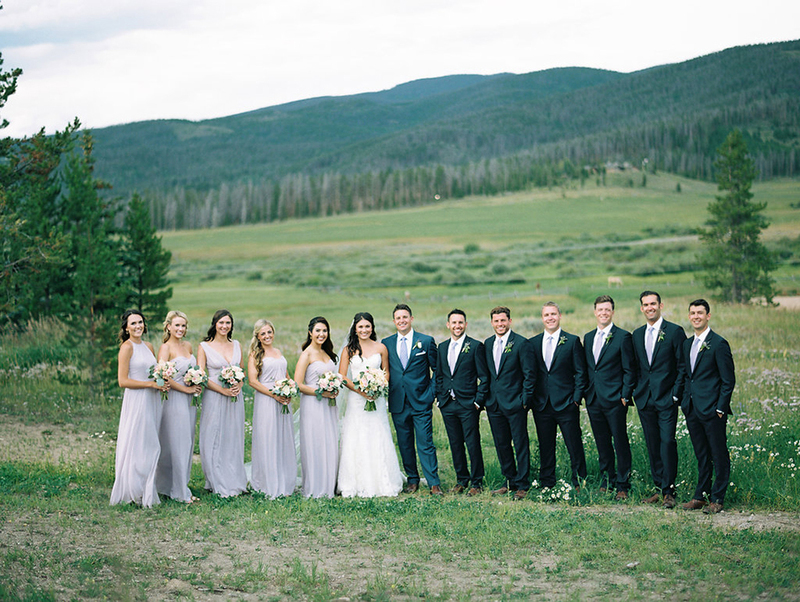 Sarah & Dan's quintessential Colorado wedding at the beautiful Devil's Thumb Ranch was the perfect venue setting for Sarah's lace Augusta Jones gown. Sarah did not want her dress to overpower the naturally rustic setting that is Devil's Thumb. She chose a dress that was classic and romantic, while her Sara Gabriel accessories added just the right amount of sparkle. Sarah and Dan knew that a mountain venue would be the perfect setting for their wedding, that would leave their guests with a memorable experience. Sarah wanted to compliment the wildflowers that surrounded the ranch, and kept her floral theme to a palette of lavender, pale pink, cream, peach, and green. 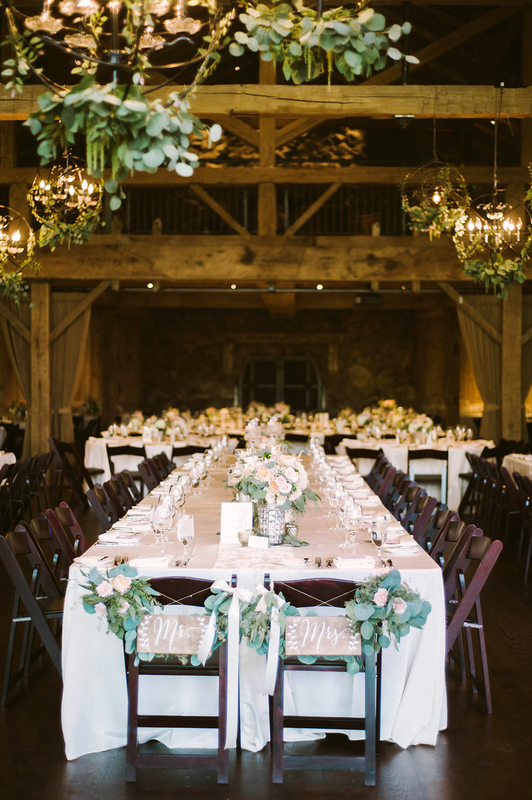 Light fixtures were accented with strands of eucalyptus and sprigs of lavender that added a nice fragrance to the indoor part of the ceremony. A Colordo wedding to remember. 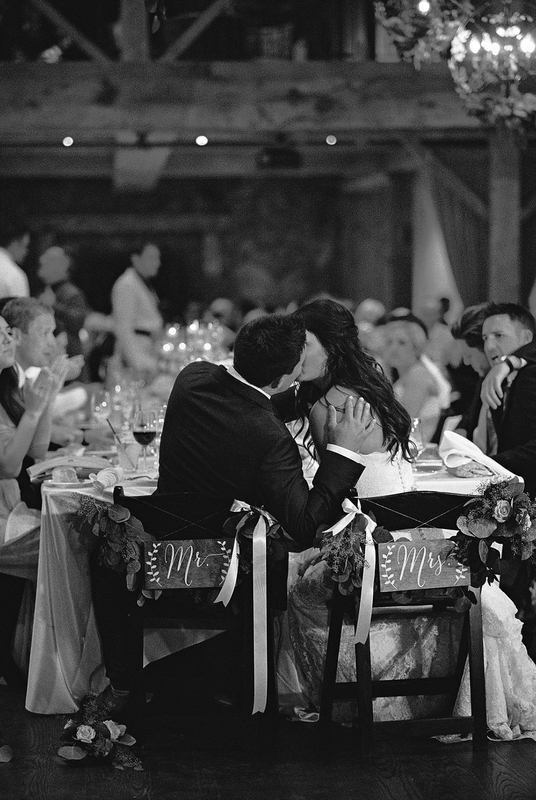 Our bride wore an all lace, a-line Augusta Jones gown with a stunning scallop-edged train. Sarah also had a few Sara Gabriel accessories, which fit graciously with the scenery of Colorado wildflowers. The reception was as locally-sourced as could be with venison and bison on the menu, along with local colorado brews.